The Turkish Coup -- Real or Imagined? Durham, NC – As if it were having a Cold War flashback, Turkey experienced a surprise coup attempt by a faction of the Turkish army Friday night. Though it evoked the Turkish coups of 1960, 1971 and 1980 quite realistically, and perhaps gave Turks of the political opposition hope for change, the coup was a desperate act with little chance of success. This was a faded figment of the military imagination, with an unnerving tinge of nostalgia for a bygone era of Turkish military involvement in the political process. And as tragic as it was, it also verged on farce. 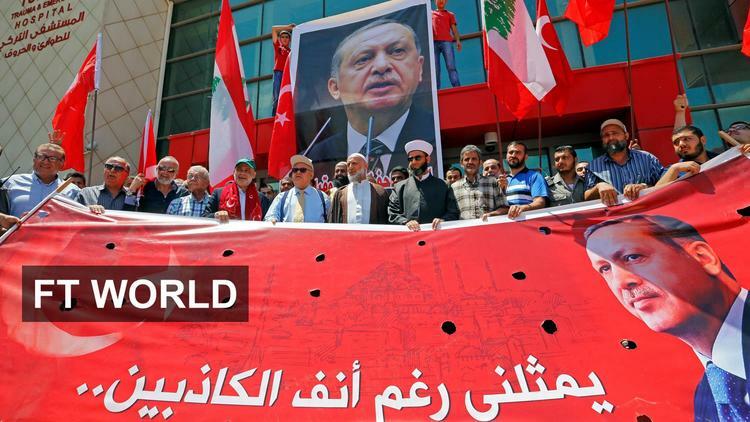 Though the “coup” is a trope in modern Middle Eastern history, most observers would agree that it is a well-warn but outmoded tool in the Turkish political toolbox. True, Egypt’s Sisi is one recent example of the ability of military coups to persevere; however, Turkish military takeovers have lost their legitimacy, largely because of the sustained legal efforts of the ruling AKP party against former and potential perpetrators in the army. That is, in an era of modern Islamic political enfranchisement, the events of Friday night were anachronistic. This was something of a desperate display of Kemalist bravado, a retro coup. The video of people cheering the tanks in the streets as they passed through a largely secular republican neighborhood, revealed this. Supporters of the coup stayed at home, as they were instructed by the military. Opponents poured into the streets after President Erdoğan, and afterward neighborhood mosques, urged them to do so in repeated announcements. Violent skirmishes continued through the night. But the pro-AKP crowds in the public squares and the streets overcame a misguided military presence. On Saturday, mosques broadcasted an ominous call to return to the streets, and city walls were tagged with the words, “death penalty” and “revenge”. To those who claim this coup was a hoax, the evidence points to the contrary: The parliament has been bombed, the Turkish general staff headquarters were occupied, top military commanders were detained, TV stations were taken over, more than 200 are dead, more than 1000 are injured, and gruesome images continue to emerge. To all those who say this is a “win” for President Erdoğan, we have to consider the larger tragedy that is unfolding. Social polarization and strife are at a high point. Since the beginning of the year, Turkey has been repeatedly hit by suicide bombers, is fighting a Kurdish insurgency, has a civil war on its border and is a front for the war against ISIS. Whether the coup is real or imagined, for the president and the country, this is a losing situation. In the old days they’d say that each coup in Turkey set the country back a decade. This one promises to do that as well, even though it didn’t actually happen. Erdağ Göknar is director of the Duke Middle East Studies Center and associate professor in the Dept. of Asian & Middle Eastern Studies.